The All Time Heatstroke Savior! There was a time when an electric fan used to be an indispensable heatstroke prevention thing in the scorching days of summer in every house. The pattern, style and the mechanism of the fans has experienced so many alterations in the past decades. 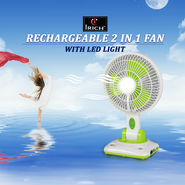 Here comes the era of electric fans. These are frequently used as a supplement of a big and efficient cooling unit. In fact, if the temperature is comparatively low and below the blistering level, then an electric fan do the right cooling effect for you. Not only, are they the perfect airing machines, but also they function as an exhaust or gaseous transport. From providing comfort to the glut of wind chill effect, these amazing machines deliver everything to please you. 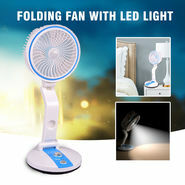 There is a wide array of designs and categories of these fans. They can be hung from the ceiling, can be put on the table or can be set on the wall, roof or other electronic systems to cool them down while in use. So, there is a plethora of types you can choose your most cherished one from! Ceiling fan are not only used just as a summer days rescuer but also they complement the interior decor of a room. Small to average, every size is available in these fans. Portable ones can be easily moved from one room to another and that is really handy when you have less members and a big house. 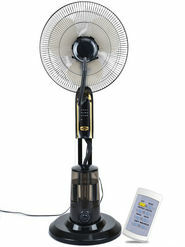 Even the handheld electric powered fans can blow dry your hair when you need it. 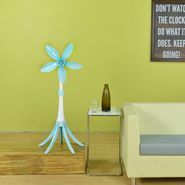 The most important fact of the fans is that they are environment friendly. Sometimes air conditioning units can affect the asthma patients and can bring trouble for them. But these are the safest and uncomplicated cooling systems that serve in a healthy way!